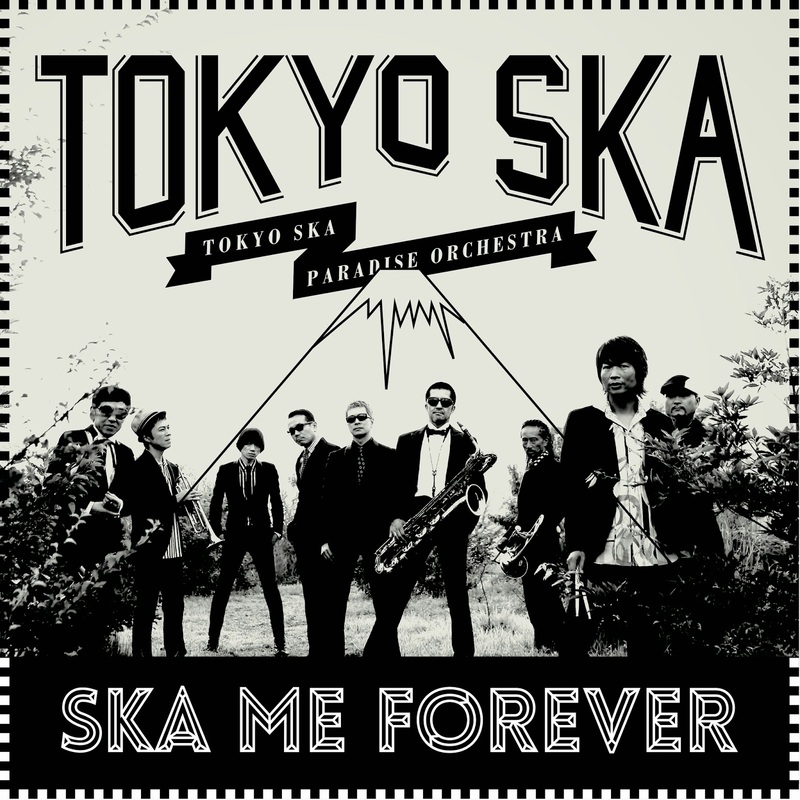 Japanese ska legends Tokyo Ska Paradise Orchestra just released their 19th album Ska Me Forever earlier this month on Nacional Records in the US (as a nine-track LP and 18-track digital download). While The Duff Guide to Ska will have a review of Ska Me Forever up in the near future, we're thrilled to post a recent interview we were able to conduct (via email) with TSPO bass player Tsuyoshi Kawakami, who has been with the band since its founding in 1988. The Duff Guide to Ska: Ska Me Forever is being released as the Tokyo Ska Paradise Orchestra celebrates its 25th year as a band--did you all think that it would still be going strong this many years later? Are you all planning to just keep on going like The Skatalites and play even when you are old (and distinguished) men? Tsuyoshi Kawakami: I had no idea we would last 25 years. It is an extraordinary case in the Japanese music scene that a band as big as we are can continue, specialized in a genre of ska. In that sense, we respect The Skatalites a lot. It would be fun to keep on doing this like they do. DGTS: Tokyo Ska Paradise Orchestra's musical influences seem to be omnivorous--traditional ska, jazz, big band, 60s movie soundtracks, surf rock, and much more. What influenced and inspired the band as it was writing and recording the songs that are on Ska Me Forever? TK: This album turned out to be the concentration of all elements that TSPO have, that we have been influenced by--not just ska and authentic elements but also others such as rock and dub-oriented sounds. We turn a variety of music into ska and advocate our own genre “Tokyo Ska.” And this album shows the true value of Tokyo ska. DGTS: I've read that Gaz's Mayall's cassettes that were sold in a local record shop had an impact on Tokyo Ska Paradise Orchestra and the late 80s ska scene in Japan. Were his tapes all ska or a mix of styles? Were you ever in touch with him directly--and in the early days of the band was there ever the possibility that you'd release some music on Gaz's Rockin' Records? TK: Gaz’s cassette tape included a lot of ska. At that time, ska was not so much known to the general public, so the tape was really shocking to us. We listened to it many times and learned about ska. We have certainly met him in person. He has been a big supporter for us. We saw him at Glastonbury when we performed there in 2003 and, for the first time in a long while, in 2013 at a festival in Japan. He was dancing while watching us perform! DGTS: I've read in other interviews with the band that even though Tokyo Ska Paradise Orchestra has toured all of the world, you've never performed in Jamaica. Is that still true? Of the places you have toured, what are your favorite countries/venues to play? Where have you received the best, worst, and most memorable reactions from an audience? TK: We have never been to Jamaica yet, but we definitely want to in the near future. We were amazed how many people support us in Mexico. It was electrifying to see the Mexican fans know our music so much that they can sing to all songs and instrumental tunes. We realized that even in places we had never been before, TSPO are loved so much and there are enthusiastic fans, which made us wish to perform in more different places in the world. We are very grateful. TK: We performed in NYC for the first time in a while in 2013. Last year, we performed at the Irving Plaza and had a blast! It made us want to have more people come to our show and know us. At this time, we do not have dates for our next NYC shows, but we wish to perform there again in the near future. DGTS: In the late 90s, Tokyo Ska Paradise Orchestra started its own label through AVEX--Justa Record--which released several TSPO albums and singles, as well as a few ska compilations, and even published a magazine. What happened to it? TK: Justa Record is still around. TSPO’s albums have been released from this label. 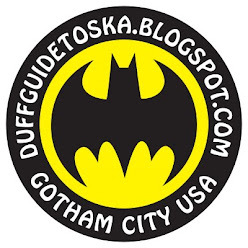 With Justa Record we can do approaches different from TSPO as well, and we’re thinking of releasing even more interesting things from this label. DGTS: What are some of your all-time favorite ska records released by other artists--the ones you would save if your home were on fire? DGTS: It's sometimes difficult for ska fans outside of Japan to find out about what's going on in the Japanese ska scene. Can you recommend any newer Japanese ska bands that we should try to track down? TK: It’s actually ska punk, but the band Kemuri is wonderful. Their singer Fumio Ito sang in our song named “Pride Of Lions.” Kemuri is going to tour America this year so check it out! TK: It all started when we met Tomas, the big boss of Nacional. He helped us out when we wanted to record a track with Manu Chao back in 2011. Just like in the US, vinyl is becoming more popular among youth, who have never listened to vinyl before. DGTS: In addition to releasing Ska Me Forever, what other plans does Tokyo Ska Paradise Orchestra have for celebrating your 25th anniversary? TK: We will culminate our 25th anniversary at a historical venue called Budokan on March 28. Our collaborator bands on Ska Me Forever, namely 10-FEET, Mongol800, and Asian Kung-Fu Generation will be there as well. Thanks to Tsuyoshi Kawakami for taking the time to do this interview with us! If not already aware of it, people who like more laid back vibes should check out Tsuyoshi Kawakami's Moodmakers. Great easy listening/reggae type stuff. I stumbled on it by chance last year and quickly bought a few of his other albums. Very cool interview :) Shame Tsuyoshi didn't have more to say about their shows in NYC, but very good to know that Kemuri has plans to come over! Thanks Steve! The Lions New Album "Soul Riot!"